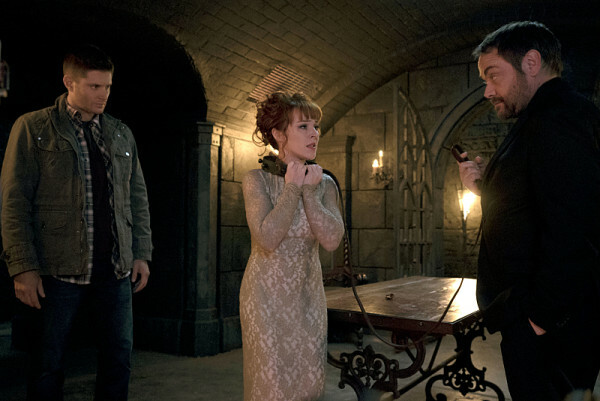 Supernatural is back from the holidays and it had some surprises in store. Alliances were revealed and characters’ futures were changed forever. With all the twists and turns, it’s definitely got me excited for what’s to come with this season! Before diving into the storyline itself, I wanted to give a shout-out to the musical cues in this episode. They were absolutely fantastic, between the opening and the background for Lucifer’s Cage fight. 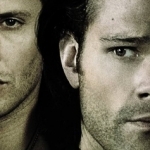 One of the best features of Supernatural is its soundtrack. Nice to see that has continued season after season. And I was also very happy to see some favorite faces popping up in this episode as well. Billie is back, which I hope means she’ll play into the rest of the season in some way. She intrigues me, especially with her alliance, but she also scares me a bit because she will bring death with her and that might mean bad things for the Winchesters. But we’ll have to see where it goes. Secondly, it was great to see Surprise!Colin pop up in Sam’s trip down memory lane. There have been some great Young!Sam actors in the show, but Colin remains a fan favorite. Okay, onward to the storyline. 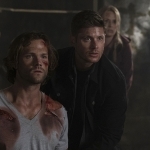 The whole mental mind-play between Lucifer and Sam was interesting. 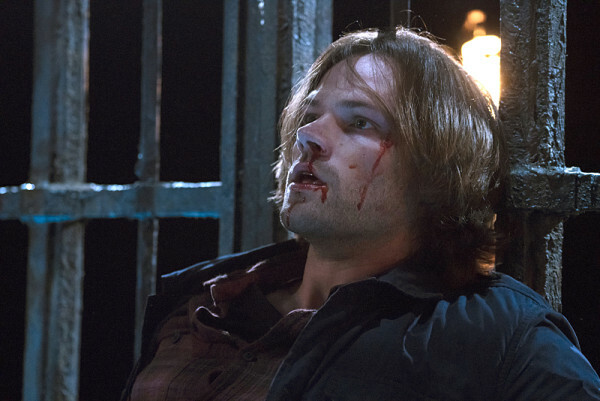 Nice to take a walk down memory lane and see how Sam stands up to the lure of Lucifer. I figured he’d keep saying no, but it was great to see him actually show his strength and promise that he’s ready to die or see his loved ones die if that’s what it takes. And he did make it out without succumbing, but that doesn’t mean the world is any better off. And that has a little bit to do with Rowena’s hero worship and a little bit to do with Cas’s need to not be expendable. First of all, I was surprised to learn Rowena’s been playing it all along, but I shouldn’t have been. She’s just like Crowley, out for her own gain. I did like her ongoing nightmare with Christmas!Crowley and then Santa!Satan stabbing Crowley with a candy cane. While I figured that, at some point, she would die because of her excessive dreams of power, I wasn’t expecting it to happen in this episode! I am going to miss her a lot, because she was just so delightfully evil and out for her own gain, just like her son. But I am looking forward to seeing how Lucifer!Cas works out. 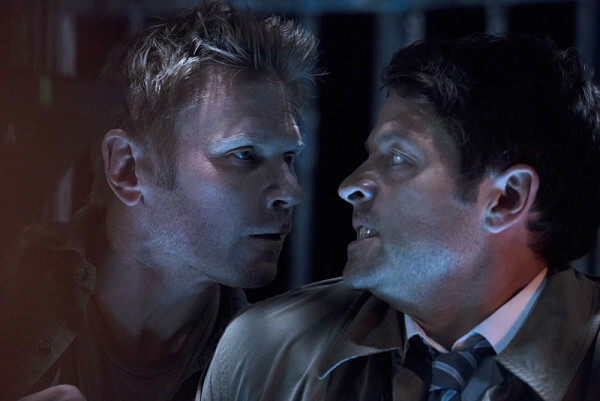 Cas is always more interesting to me when he’s not himself, either more powerful or less powerful. Now he’s got Lucifer running the show, so he’s going to get up to all kinds of trouble. I was a bit taken aback that he would say yes to Lucifer, though, considering he lived through the Apocalypse, but it makes for interesting storytelling. I was mildly engaged with Amara, though I’m sure she will become more integral now that everyone’s topside for the fight. I still want Chuck!God to show up. His sister’s destroying the world, his children have already done the same, isn’t it about time to pop in and make a stand? But, no, he remains MIA. Also, apparently Michael’s gone crazy while in the Cage, though where he’s at now I’m not sure. At least they mentioned him, since I was wondering where he had gotten to. The show does tend to “forget” characters sometimes. And I know Lucifer said Raphael and Gabriel were both dead, but I still hold onto hope of a Gabriel return, too. It was not clear-cut that he’s actually dead, going by his last appearance. He could be hiding out somewhere, biding his time, undercover. He’s done it before! So, where does the episode leave us? With a whole lot of questions and a fear that more will die. 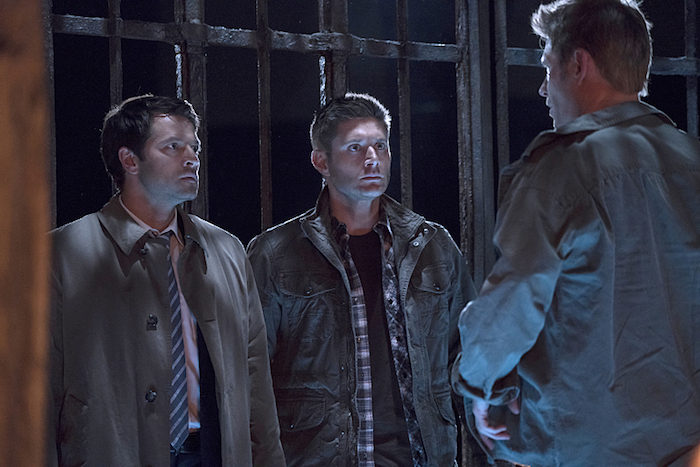 I’m looking forward to seeing the reveal when the Winchesters find out about Cas. Bad things are on the horizon. Gonna be a great back-half of the season!